Choosing the perfect hunting ammo can be a bit of a hassle, especially if you’re going after game you’ve never hunted before. We’re going to take the guesswork out of it, and give you some rock-solid, field-proven, and time-tested hunting ammo recommendations for every class of game animal in North America (though these same principles apply to game elsewhere as well). Read on to learn how to pick the perfect round for your next hunt – one that will ensure a clean kill (if you do your part) without being overkill for what you’re hunting. After all, you don’t want to mess up all that tasty meat, right? There’s no kill like overkill, but maybe leave the belt fed stuff at home when hunting anything smaller than a T-rex. There are three main considerations a hunter needs to take into account when choosing a caliber for a specific animal. The most important factor to consider is whether or not it kill the animal humanely. If it can’t do so reliably, don’t use it. Yes, with exact, pin-point, once-in-a-lifetime, shot placement, you can kill a Brontosaurus with a .22 Short. Well and good. That doesn’t make a .22 Short viable for hunting anything. Your responsibility to the animal you’re hunting is to harvest it as quickly and painlessly as possible. Round selection is extremely important for this. The next consideration is whether or not will it damage the meat of a game animal. What’s the point of killing game animals, aside from pest animals, if not to eat them? Its hard to have a Thanksgiving dinner if your meal is in several pieces scattered across a clearing. Too powerful of a round will likely destroy the meat of the animal you are hunting. If the meat is destroyed there is no point to killing the animal, unless you’re dealing with a pest species. Finally, will it damage the hide? This is the least important of these considerations, but one to consider if you want to turn your animal into a trophy. Too much damage to the animal will result in a damaged or destroyed hide. After these three considerations you can look into weapons selection, recoil, price, etc. Those factors are the least important to consider when hunting most animals. Varmint includes species of rats, prairie dogs, jackrabbits, and can include snakes, opossums, muskrats, and beavers. These animals range from under a pound to sixty pounds. What these animals typically have in common is they aren’t typically eaten. Typically being the operative word. Of course, exceptions exist everywhere, so this is a generality. 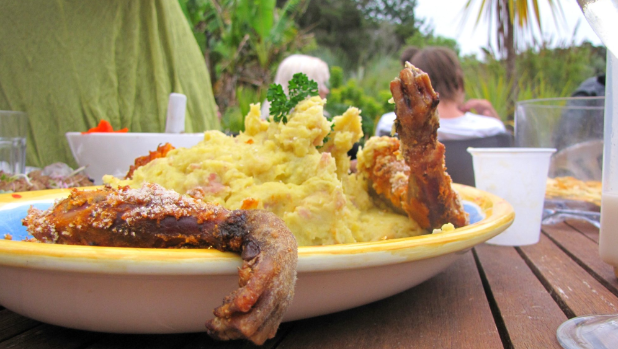 The above shot is of an opossum being served in New Zealand. If you are planning on eating one of these animals, go for a headshot and cook the animal thoroughly. Since these animals are not eaten often, and not often turned into trophies, there isn’t really a need to preserve the animal’s hide or meat, except maybe a beaver pelt. Of course, there is always a need to take an animal humanely. Fortunately, these animals do not need an overly powerful round and in many cases, a rimfire round will work perfectly. The use of rimfire rounds has been common for dispatching these pests for well over a century. Rounds like the .22 LR are perfectly suited for dispatching these critters quickly and efficiently. 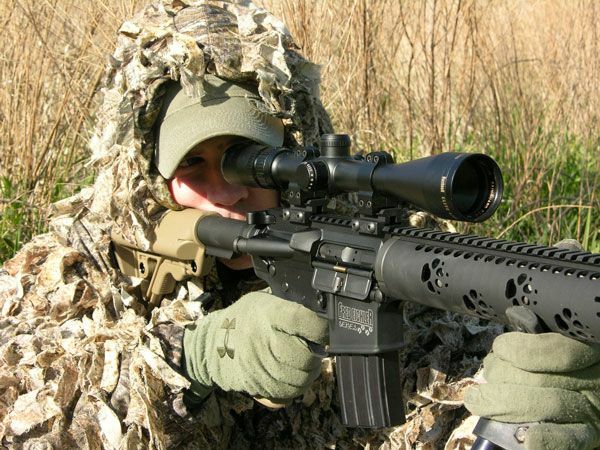 Be sure to check out our favorite rimfire rifle if you are interested in this kind of thing. Spoiler: Its basically everyone’s favorite, the Ruger 10/22, seen here in the Takedown variant. While .22 LR is effective other more powerful rimfire rounds are also acceptable. Rounds like the .22 Magnum and .17 HMR are acceptable choices since you aren’t attempting to retain hide or meat, but aren’t necessary. Shotguns are generally overkill for these critters, but a light loaded .410 will work. .22 LR rat shot is a good option in barns or sheds with invasive creatures…it’s almost like it was designed for rats in barns or something. CCI Rat Shot is the gold standard these days. Medium varmint like opossum, jackrabbits, and raccoons will generally require a magnum rimfire or small centerfire cartridges. The minimum for humane use would be .22 Magnum or .17 HMR. These rounds are capable of penetrating deeper, and often have better expansion than smaller rimfire rounds. Other acceptable centerfire rounds include the .22 Hornet, and .22 TCM, and even up to .223 Remington. .223 might be a tad overkill, but its not too much of a concern here as these animals aren’t typically eaten except maybe in certain parts of the Deep South. Editor’s Note: From South Georgia, can confirm. All I’m saying is that this is a place that exists. Do with that information what you will. Medium varmint animals are also easily harvested by .410, 20 or 12 gauge shotguns depending on the type of shot used. The shotgun is such a versatile weapon that any choice loaded with a heavier birdshot won’t have issues dispatching these pests. Large varmint like beaver can easily get up to 60 pounds and to dispatch them humanely you may need to move away from rimfire rounds. If you are a solid shot, and can properly place the round a .17 HMR or .22 Magnum can easily kill a large varmint. However, if you have even a slight doubt you may want to consider the more powerful .223 Remington, or even better a shotgun loaded with Turkey shot. As with most things, when in doubt, AR-15. There’s one for every occasion. Small game is where we first start to have to take an effort in preserving the meat of an animal. Shooting a squirrel isn’t worth much if all that’s left is bits of bone and fur. Small games animals are hunted in almost every state and require a round that can effectively stop the animal, without destroying it. Small game isn’t commonly a trophy animal, so preserving the hide isn’t necessary. 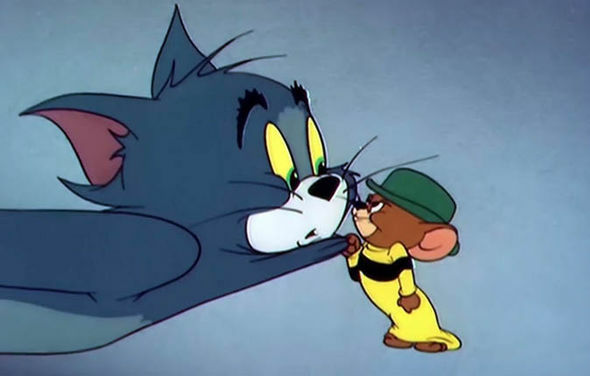 Small game animals include both ground and flying critters. Ground animals include squirrels and cottontail rabbits, both tasty animals that are perfect for stews, and always good over rice. These little animals are a thrill to hunt, and often a great way to teach kids to hunt safely and humanely. Taking them requires nothing more than a well-placed headshot from a .22 LR. 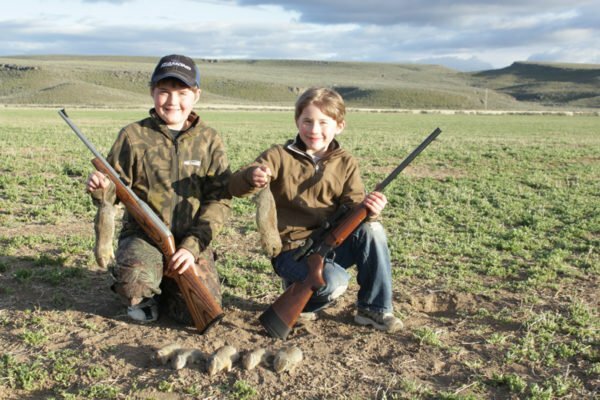 Prairie dogs, squirrels, rabbits…these are all great ways to introduce young kids to safe, ethical hunting. These small animals are usually not hunted at ranges beyond twenty yards so it’s not hard to pick one off with a well placed .22 LR. Alternatively, any low brass, lightweight birdshot will work for squirrels. 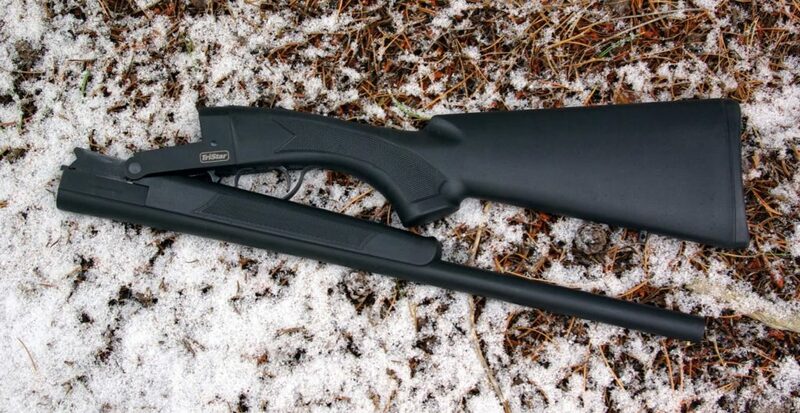 My favorite squirrel gun is my Tristar folding 12 gauge shotgun. 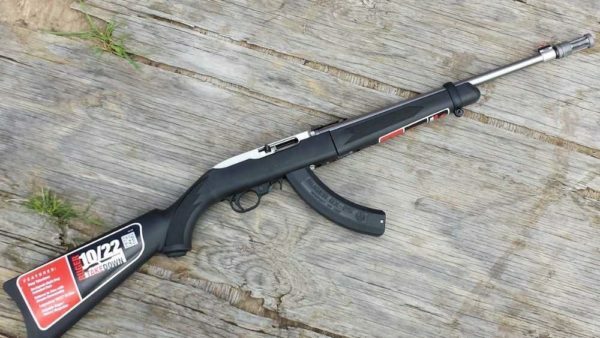 This little lightweight single-shot shotgun is a great little lightweight squirrel gun. This also makes a great survival shottie. I toss in some Aguila mini shells birdshot and it’s light and pleasant recoil makes it an excellent squirrel gun for anyone. A shotgun with birdshot will also work well on cottontails. In my experience, a 12 gauge with 7 ½ is perfectly capable of taking a rabbit. The same goes for 20 gauge…with .410 you may want to go with number 6 for a little extra oomph. Cottontails aren’t very smart, and you can walk up and pop them pretty easily. That being said .22 Magnum, .17 HMR or. 22 Hornet won’t be an issue when taking rabbit, try to take a headshot though. It’s easy with small game in most cases. Bird hunting, specifically hunting small birds like dove and quail is a challenging prospect if you’ve never done it before, but if you do it right it’s an absolute blast. It’s probably not hard to figure out the appropriate shot type to shoot birds…it’s birdshot! No surprise there. 7.5 shot will work perfectly, and some purpose built bird hunting loads will cling together just a bit tighter, giving you better range. 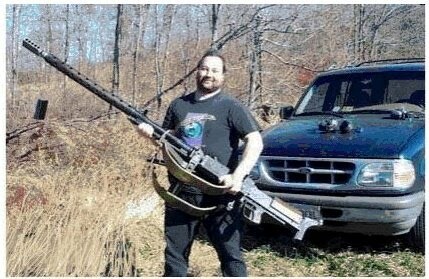 It’s usually best to pattern your bird gun to find the absolute best load, but for casual hunting 7.5 works fine. 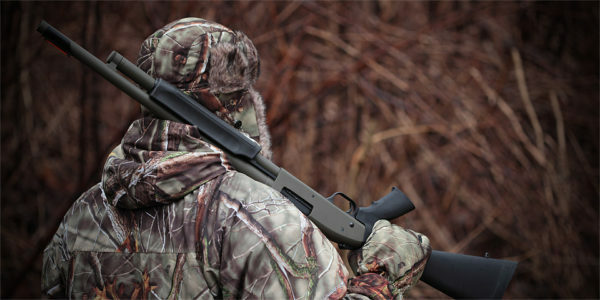 Oh, and if you are new to this whole bird hunting list, be sure to check out our list of the best bird hunting shotguns for new hunters. 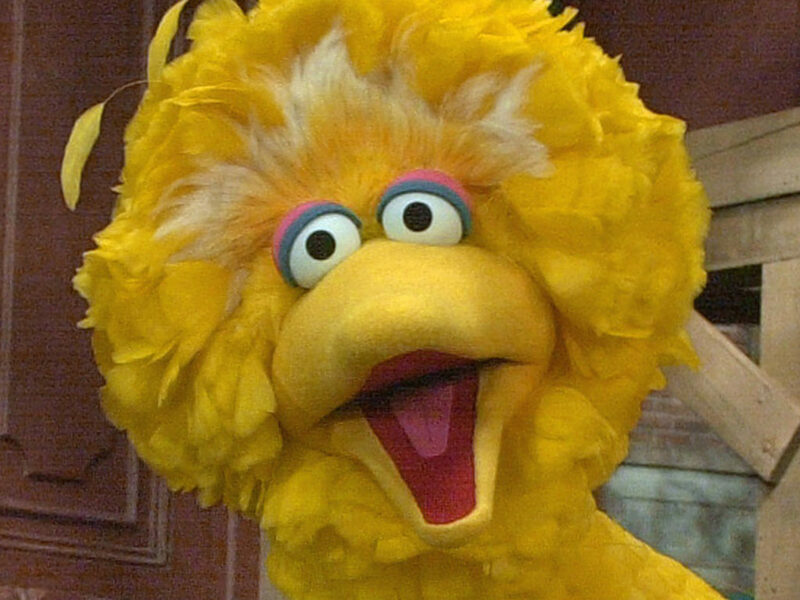 I don’t advocate hunting the yellow bird from Sesame Street, he’s a national treasure. Plus, I’m 75% sure he’s just a dude in a costume. 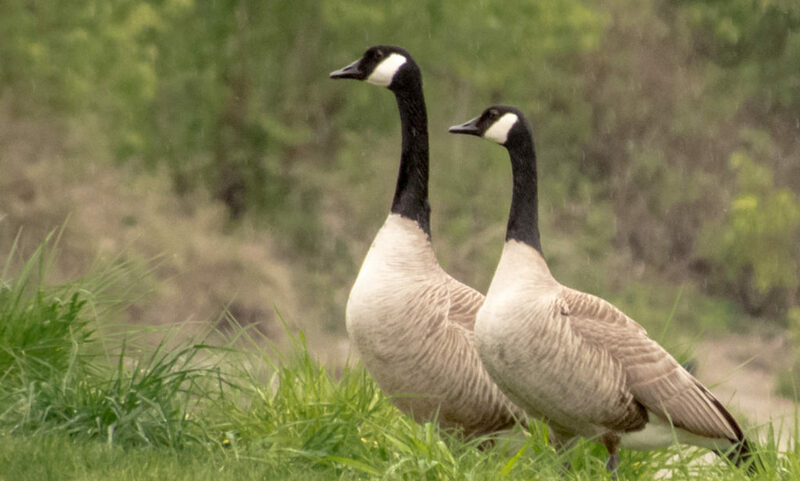 Now ducks, geese, and turkeys…that’s another story. 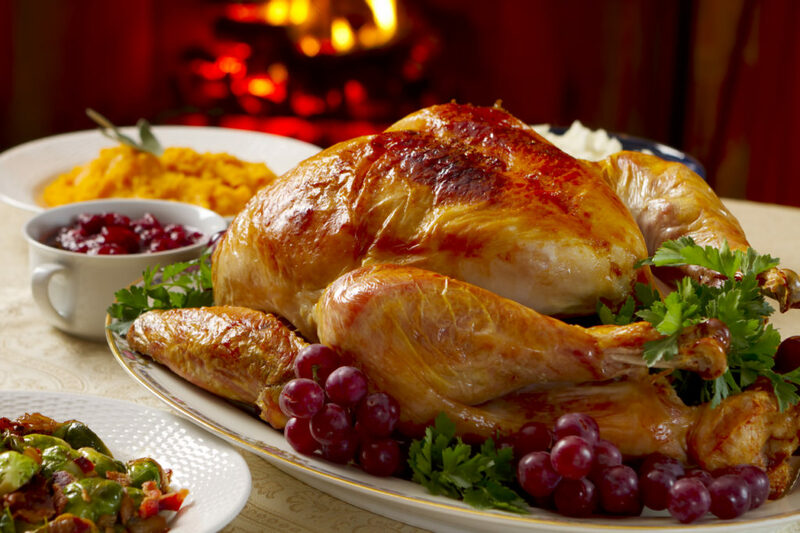 These birds are delicious, a blast to hunt, and great to have around the holidays. Because of their larger size, they require some more powerful loads than 7.5. Duck hunters are an odd breed. I feel too normal around them because they all seem to have different beliefs about gauge, caliber, and ammo and are very…passionate…about those beliefs. Maybe that’s just the ones I hunt with though. 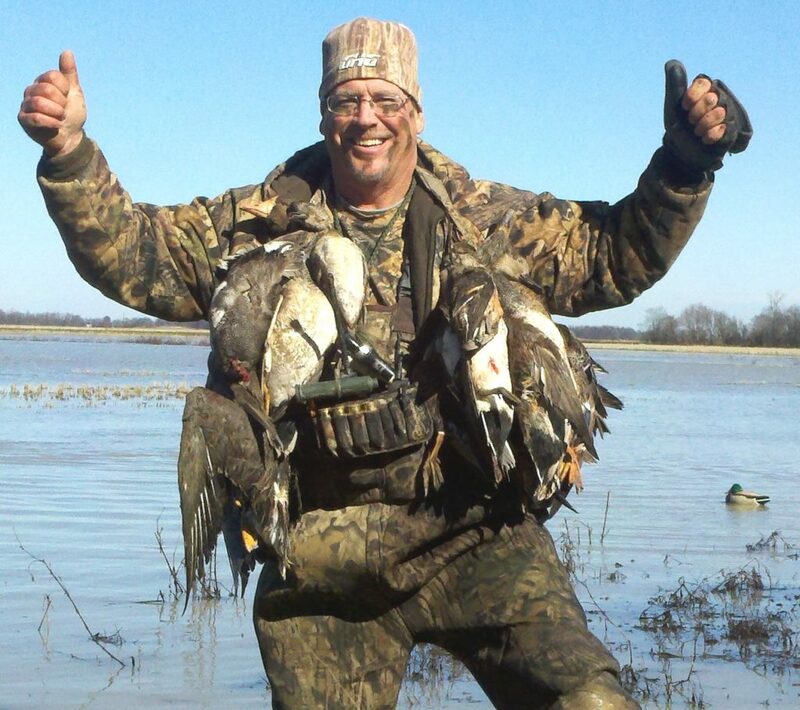 When I went duck hunting I used a number 1 steel birdshot and it has been a winner for me. There are also a lot of people who love Federal Black Cloud Number 4 ($21.75 – 87.0¢ per round). It seems anything between Number 4 to Number 1 birdshot works well depending on how your gun patterns. The other thing to be careful of is to know the laws on hunting water fowl with lead shot. Short version: don’t. It poisons the water, and is illegal most everywhere. I don’t like geese, they’re mean, loud, and obnoxious. So BB and BBB is a great load for demolishing Geese and putting them in their place. BB and BBB can gut, or break the wings of geese and bring them down, as well as kill them quickly and humanely. Turkey hunting is a fun and exciting pastime for those dedicated enough to get up in time to bushwack a bird. The first animals I ever killed while hunting were two turkeys with a pump shotgun. I was quite proud of myself. I took two gobblers in just a few seconds of each other using Remington’s 3-inch number 5Remington’s 3-inch number 5 12 gauge Copper plated Turkey load. This copper load penetrates extremely well. A nice three inch 4, 5, or 6 works pretty well. Federal’s 3rd Degree mixes Number 5, 6, and 7 for a good multi-purpose load. Medium game animals in the United States are basically divided into two different species , deer species and pig species. Both are quite tasty. My preferred deer is the white-tailed and I have enough mounted on my wall to prove that love. Pigs are love and hate. I love bacon, but I hate how destructive wild pigs are. Hunting both occupies my fall and winter. 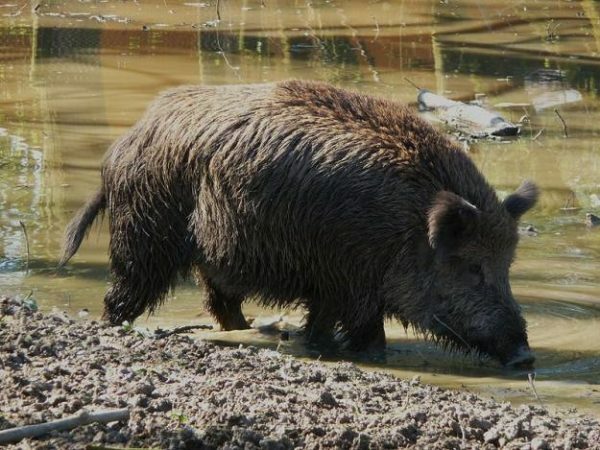 Check out our guide to hunting wild boar in California if you want some bacon of your very own. Wild hogs are invasive, destructive, and delicious. Whitetail deer and Pronghorns are similar in size and can be taken by a variety of calibers. Pigs vary quite a bit in size, and the bigger they are the more penetration you need. When it comes to rifle calibers I like anything above 6mms. This includes common rounds like the .243, .270, 30-30, .308, and 30-06. 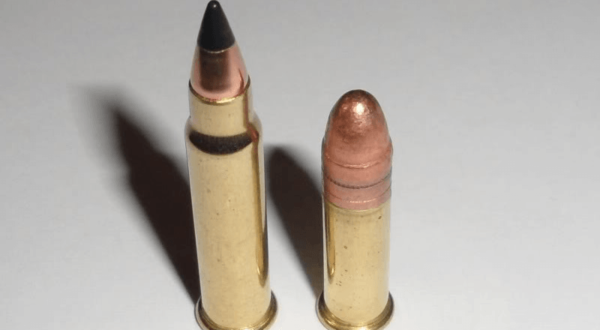 It’s not unheard of to use 223 to hunt deer and hogs, but round selection is incredibly important…you need a heavier projectile with a 223 load. If you are a brush hunter like me, a good load of 00 buckshot will get it done, as will a 12 or 20 gauge slug. Shotgun’s are excellent for heavy brush. A shotgun is my favorite option for deer hunting, and I’ve been quite successful in the Southeast United States. For Hogs the Winchester 12 Gauge Razor Boar is quite effective. It’s copper plated buckshot that penetrates very well. Bonus: Check out our list of the best hunting rifles of 2017. Large game requires some careful planning, not just to get a clean, humane kill, which is much harder on a larger animal, but also because these animals have the potential to cause serious damage to you if you aren’t careful. Next, we have bear. 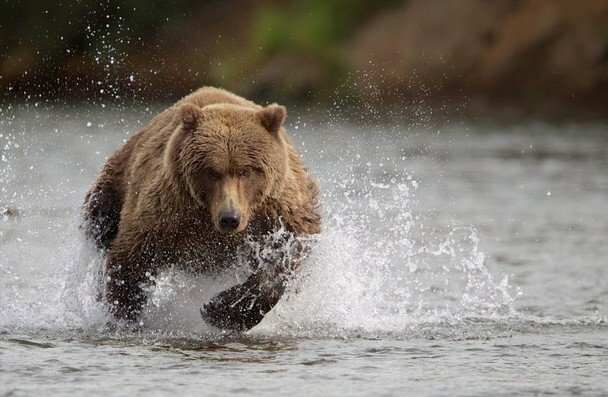 Bear is probably the most popular dangerous game animal in the United States. A new factor is introduced when it comes to bear, which is of course danger. It’s critical to drop a bear quickly not only to ensure it’s humanely killed, but to make sure you aren’t injured in the process. Remember, you don’t need to be faster than a bear, just your buddy. You need a round that is quite powerful and quite heavy to ensure the animal is killed very quickly, this means an expensive and heavy recoiling round. Rounds like the 375 Ruger, the 416 Ruger, the 450 Marlin, and even the 12 gauge for Black bear are the rounds shooters should go to. There are certainly other big bore rounds that will get the job done, but you get the basic idea. Some argue rounds like the 44 Magnum and 10mm are good for bear. This is true from a defensive standpoint, where they are coming after you, however, when it comes to hunting I’d keep a long gun ready. You should certainly be an experienced bear hunter before you choose just a pistol or revolver for bear hunting. Elk and Moose can be quite fearsome. They’re basically deer that grew up to be the size of a horse. With weights closing in on half a ton or more, cartridge selection is incredibly important. 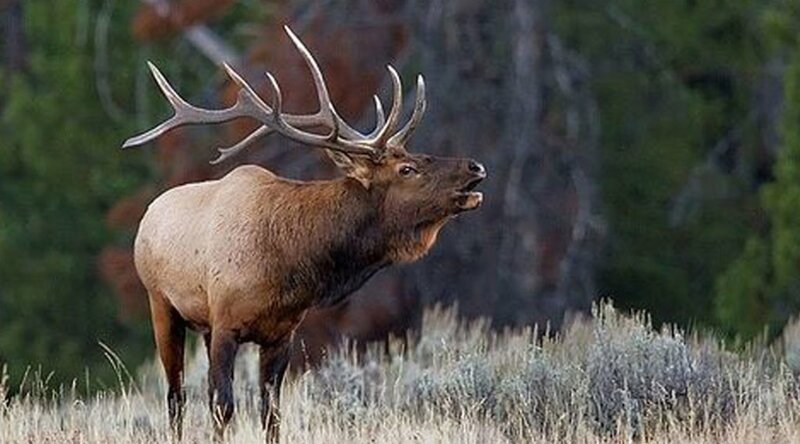 As hunters we have to be humane in how we kill our prey, so with big animals, you don’t want to pull punches. And you certainly don’t want an angry, wounded 1,500lb Bull moose coming after you. For this reason, if you caliber doesn’t start with at least a 3 you’re probably going too small in my opinion. Regardless of the caliber used and the animal hunting you should certainly research rounds designed for hunting. 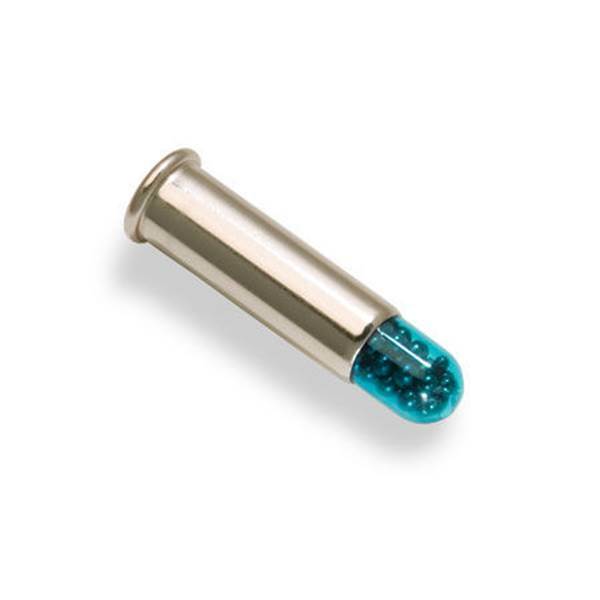 You need rounds that will penetrate, expand, and reliably take deer, and other large game. Lines of ammunition like the Hornady Whitetail, Winchester Super X, and Remington Core Lokt are all excellent choices. This is important for both caliber and projectile selection. Also, respect and consider the animal you are hunting, and show it respect through a humane kill, and then enjoy the meat after if its a game animal like a turkey or deer. Happy hunting! What caliber and load do you use for a specific animal? Why? Let us know below.